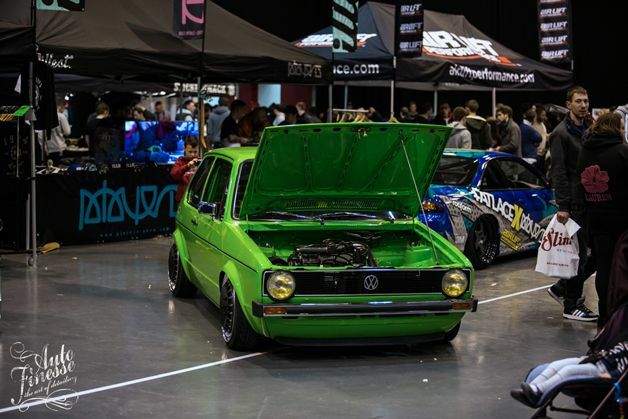 We’ve been extremely excited leading up to the infamous VAG show season opening weekend, Ultimate Dubs. Working day and night on our BBS kitted MK2 getting it ready to “Glisten” in the show halls. Also testing and developing new detailing products Vision glass polish, Glisten spray wax, Revolution wheel soap, Rag Top protector, Rag Top cleaner and our Aqua Deluxe drying towel. 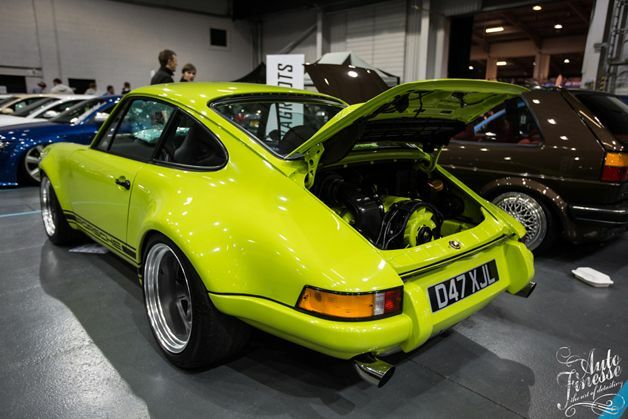 Show cars had their covers removed, the dust blown off, final tweaks and last minute builds were completed, Everybody was ready to ascended on the Telford International Centre. As usual the queues were gigantic even to get the show cars inside, the Sunday morning show queues always bring Telford to a stand still. Throughout the weekend we were joined by Al Langford’s gorgeous Candy Red Volkswagen Scirocco running Rotiform DIA’s, freshly trimmed interior just oozing awesomeness. The next car we had with us was a stunning Audi S3 Owned by Matt Vanstone running the new Cast13 mesh design wheels, the engine has had the full Forge Motorsport treatment and a nice b7 RS4 grille blended smoothly into the S3 bumper. 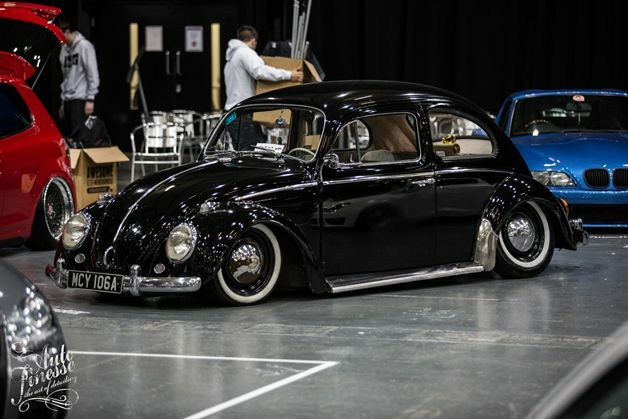 Also on display was this gleaming Classic Black Beetle in immaculate condition with some nice stance tweaks making it sit just right, the finish on the paintwork is incredible. 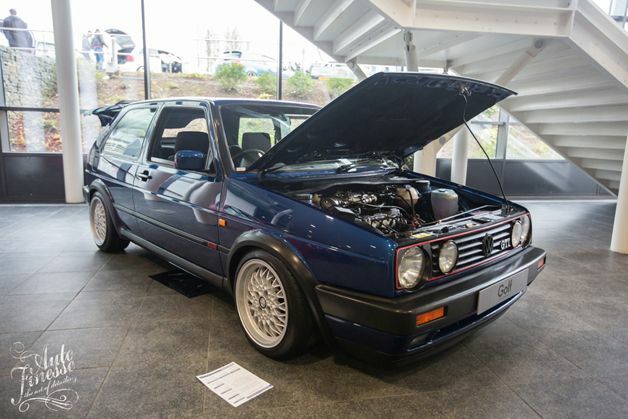 Throughout the International Centre there are several different exhibitor areas and the outside entrance hall is where the show welcomes guests and draws them in to see more, Matthew Hartle’s OEM MK2 Golf is definitely an attention grabber, not a single detail has been missed keeping the car looking factory fresh. 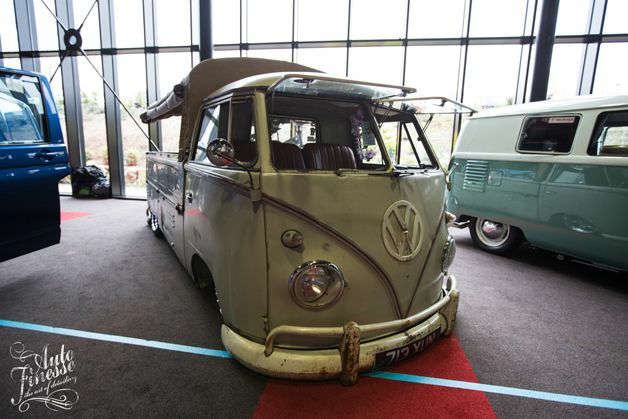 This Split window pick up, really caught our eye with its rustic look and huge character, the stance and wheels just complete the build for us adding a bit of chrome behind the arches. When it comes to wagon’s you will have to look hard to find a better example than Vick Nagi’s Audi B8. We were admiring the wheels on this beauty for some time, Rotiform IND-T’s with custom G23 Centre locks for those extra cool points, so cool that Vick walked away with The Best Stance Award. 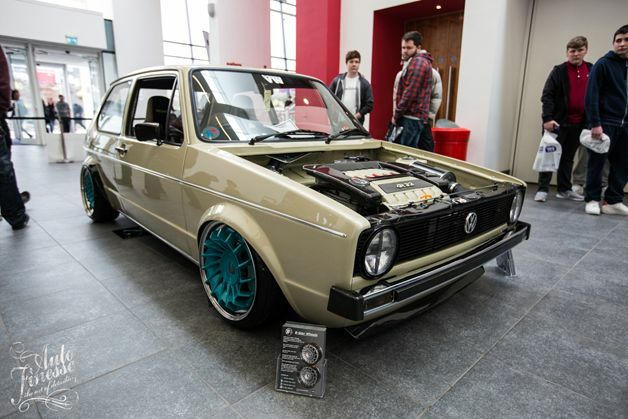 Jon from Route32 stole the show with his R32 MK1 one build once again, its been re-ignited with a fresh look. The wheels are custom B Star wheels painted by JH Pro paint in the cars trademark teal blue that works so well with the pastel beige colour. Jon drove away with Best Of Show and Best Wheels, bravo sir. Rob Goodwin’s RS4 has been re-imagined more times than the Batman franchise, but every time he manages to blow us away with the attention to detail on his builds. In the past year the car has had three different looks, from Grey, red and gold, blacked out everything, now candy orange and rose gold. The wheels are three piece Rotiform SPF’s in glass black and rose gold, Tarox 12 pot brakes complete the shoes on this powerhouse. The embossing on the wrap was also a nice touch. The Players guys were in force as usual with Jay’s Vibrant green MK1 sporting a new set of wheels. Carl’s Drift machine was present on some new Rotiform TMB’s and an awesome new wrap in collaboration with Fatlace. It’s always nice seeing the Belgians over here in the UK, Ultimate Dubs always draws the best of them to our shores. David’s S5 is no exception, sleek, powerful and low. Blue and gold is always a winning combination, such a great contrast. Jon from AutoRetro Porsche Specialists is always on our radar, the work they do is faultless and his recent build is outstanding. The car just reeks of cool, and is the rightful winner of our sponsors choice award, congrats man! The outside show and shine had cars worthy of an inside spot, the variety of different styles made for a great show and bought various opinions out of groups which is great. Ultimate Dubs is always an awesome way to start the year, this year the bar has been raised once again with the level of quality builds and different styles coming alive.